I have been blessed with having a full, fun and exciting life! My careers have included 17yrs of Law Enforcement, Security & Volunteer Director for the Maui Arts & Cultural Center, Maui County Red Cross Director, and now my passion...Stage Hypnosis Entertainer! I have 5 wonderful grandchildren that I adore. Currently I have the pleasure of watching the two youngest during the week. Looking back I would not change anything about my life. Ups and downs, everything has brought me to where I am now!!! Marianne de Leon Matthews has a birthday today. Marianne de Leon Matthews posted a message. Just an FYI. I changed the spelling of my first name to match how it is pronounced in the Netherlands (where I was born) when I proudly became a citizen of the USA. Since that time I am Mariana instead of Marianne. I will however answer to any nice name you wish to call me. 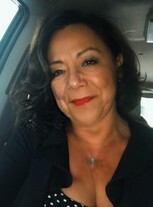 Marianne de Leon Matthews updated profile. View. 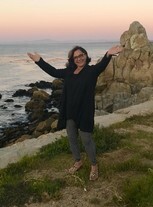 Marianne de Leon Matthews changed "Now" picture. Marianne de Leon Matthews changed profile picture. Marianne de Leon Matthews added a photo to profile gallery.